The creation of man in Genesis 1:26 is markedly different compared to everything God has previously done. Until this point, God has simply been issuing commands to create. Now He allows us to overhear the sacred conversation between His own triune persons regarding the creation of man. ● Because the Son of God was to appear in our nature (Isa. 7:14). The creation of mankind has important ramifications for two issues commonly raised today. First, some people wrongly assert that Genesis 1 and 2 represent contradictory accounts of creation. The two accounts are complementary, not contradictory. Genesis 1 deals with man in his cosmic setting, that is, against the whole background of creation; Genesis 2 puts man at the center of creation, showing us that the focus is on man as the pinnacle of God’s creative work. Genesis 2 is simply a more detailed, complementary account of God’s creation of man, setting before us in an orderly way a progressive focus on man in God’s world. Second, the special creation of mankind stresses that Adam and Eve were real people, not just mythical beings. You and I belong to a different order from everything that God had previously created. The New Testament decisively speaks of Adam and Eve as historical individuals. For example, Romans 5:12 says, “By one man sin entered into the world, and death by sin; and so death passed upon all men, for that all have sinned.” Paul here parallels the two Adams: the actual Adam, through whom sin entered the world, and a second Adam, Christ Jesus, through whom salvation came to us. Paul maintains the historicity of both Adam and Jesus. I’m just back from a wonderful week in Ontario, Canada, accompanied by my brother Jim. I preached three times, and we did a seminary presentation for two churches, and visited about 100 people in 35 homes to share with them news about our seminary and its alumni serving in 25 countries. We enjoyed much spiritual fellowship, and are humbled by the support for the seminary and its worldwide vision. 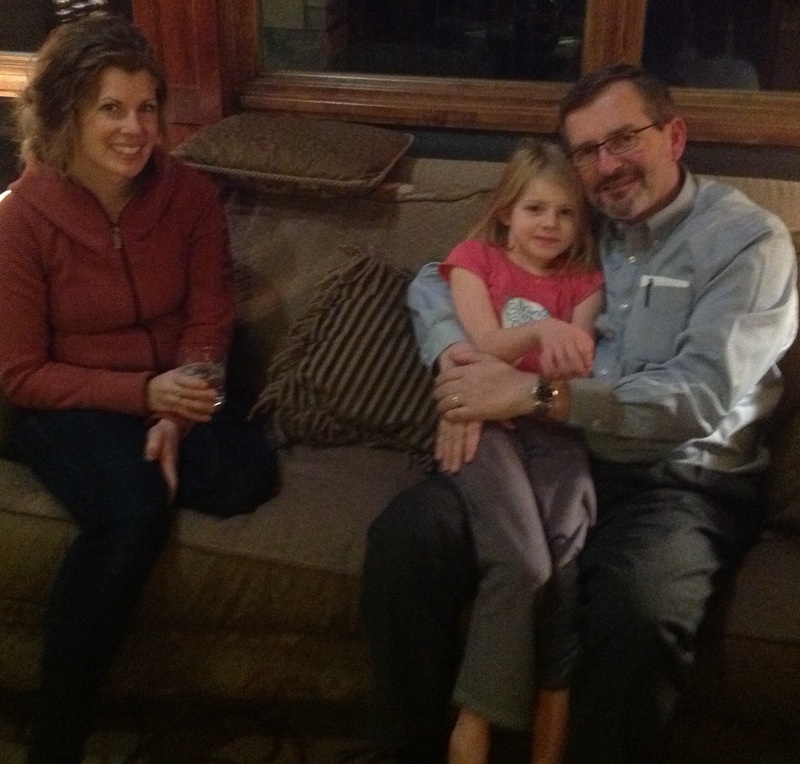 Here I am with my niece Victoria (Tori) on my lap, and her mother. Tori is doing incredibly well. Thanks again for all your prayers. Here is some news from my niece, as she goes through chemotherapy. Thanks to my Beeke cousins for my new chemo shirt! Yesterday was the second week of the twelve weeks of Taxol. I was looking up against this round because of what had happened last time. However I felt quite peaceful going into chemo. Thankfully and praise to God, the treatment went well and I didn’t have any reactions. They could give me the full dosage and the treatment could continue on as normal. – That my blood counts will continue to rise so I may receive full doses of weekly Taxol. – That I won’t have such a strange reaction from the Benadryl. – That I (and my family) will be kept free from flu/fever/colds especially in this coming winter season. – Thanksgiving that I feel “pretty” good after these chemo rounds and don’t have many side effects. God has been very good to us during this whole trial. 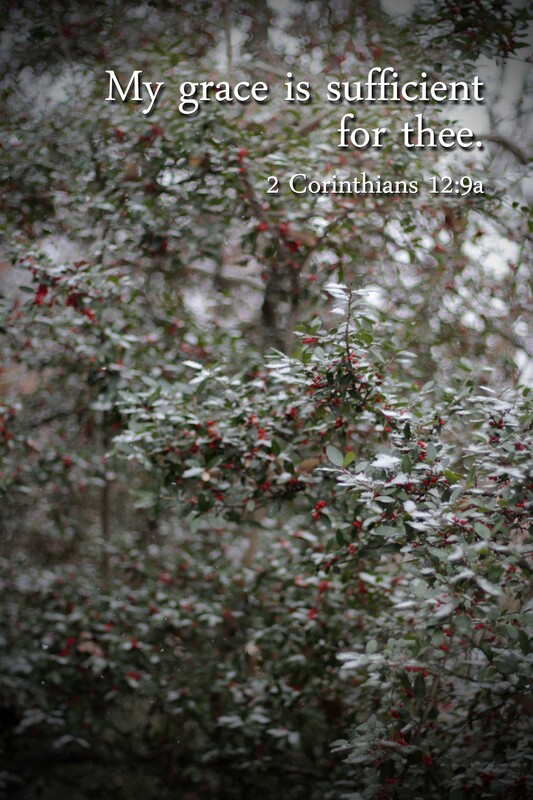 We feel very upheld by Him and are encouraged greatly by all the promises we read in His Word. God promises never to leave us or forsake us. He will always be by our side. He will comfort us and strengthen us when we need it. We are very grateful to God for all of you who help us, encourage us with notes and cards, brings meals, or send baking home with Breyden or Dave, for babysitting our children, but most of all for all the prayers that you lift up on our behalf. This series of meditations continues to reflect on the implications of the early chapters of Genesis upon our lives. Thanks to Bethany Cole for her photography. Another practical effect Genesis 1 ought to have on us is to cause us to recognize the sufficiency of God for our every need and the whole of our lives. Since our Creator is unchangeably eternal, gracious, wise, good, and powerful, He is solely sufficient for all of our lives. That is what the saints of God in the Bible learn from this doctrine of creation. In Isaiah 40, the prophet addresses those who are weary, saying: “Hast thou not known? Hast thou not heard, that the everlasting God, the LORD, the Creator of the ends of the earth, fainteth not, neither is weary? There is no searching of his understanding. He giveth power to the faint; and to them that have no might he increaseth strength. Even the youths shall faint and be weary, and the young men shall utterly fall: but they that wait upon the LORD shall renew their strength” (Isa. 40:28–31a). Isaiah is speaking of the sufficiency of God for all of life. Similarly, Jeremiah says, “Ah Lord GOD! Behold, thou hast made the heaven and the earth by thy great power and stretched out arm, and there is nothing too hard for thee” (Jer. 32:17). God’s glory revealed in creation is so perfect that Jeremiah comes to God with the kind of confidence that we greatly require today. If our faith and confidence are not in God and His sufficiency, we are not truly spiritually alive. Our lives are empty if they do not begin with God. Without Him, we miss the purpose of life, miss our true identity as God’s image-bearers, and miss the only comfort in life and death of belonging to God in Jesus Christ. The first four words of Genesis, “In the beginning God,” are a stark contrast to the last four: “a coffin in Egypt.” You cannot be prepared for death, dear friend, until in all of life you rely in confidence on the God of beginnings, for Christ’s sake. Here is another update on the cancer treatments of my niece, Trichelle Beeke. We are thankful that Trichelle has completed the first group of chemo treatments. Trichelle had a MUGA scan last Tuesday that measured the strength of her heart. We had a meeting on Friday where we heard the good results that after comparing the latest MUGA scan results with the one prior to the chemo treatments, there was minimal change. Today she started a new round of treatments with different chemo drugs. Her blood tests early this morning showed her immunity levels were unusually low again (1.3), so again special permission was needed to give chemo today with very little immunity. She first received a Herceptin treatment today that will continue once every 3 weeks for 1 year. This went fine along with some pre-Taxol drugs. She then started the chemo drug Taxol and everything seemed to be going fine until Trichelle told me that she felt a strange feeling in her chest. I quickly alerted the nearby nurse and in a matter of seconds Trichelle turned red, then blue, and had trouble breathing. The nurse quickly shut off the chemo IV and Trichelle’s colour and breathing returned to normal. After we had relaxed somewhat, they explained to us that occasionally patients can have allergic reactions to certain drugs and this is what had occurred. They had warned us about the risk ahead of time, and our oncologist has prepped us of this allergic reaction risk on Friday to make sure that if Trichelle has any funny feelings to let the nurses know right away no matter how minor they may seem. Our oncologist really stressed under no circumstances to try and “tough it out.” In hindsight, we are thankful for the stress our oncologist placed on this, as the moment Trichelle said she felt something odd, I wasted no time getting attention and the nurse reaction was extremely quick. In fact, we had the attention of 4 nurses very quickly as well as a doctor who seemed to appear in moments from somewhere. It is a blessing to have so much medical support so quickly available. Ultimately, though, our life and breath are in God’s hands (Job 12:10). We need our heavenly physician so much more. Soon an adjusted plan was in place with some anti-histamine drugs to assist the chemo as it entered the body. This worked well and with the chemo slowed to a trickle as it went in, we were able to finish the bag without further complications. We are thankful that we were able to finish the bag and keep the treatments on schedule. We also learned that some patients are so allergic to some chemo drugs that they cannot receive the treatments. Now that the medical staff are aware of the degree to which Trichelle is allergic, they will adjust the remaining 11 weekly treatments of Taxol and assist it with the appropriate drugs and hopefully she will not react the way she did today again. After a long medical-filled day, it is nice to be home with my lovely, virtuous, and rather tired wife. For some moments today I thought I might lose her from this life, and I am certainly pleased to let you all know that my sweetie is home with me and I love her dearly! Thanks again for the support from so many. We just finished another delivered meal tonight and it is heart-warming to know that the meal schedule fills up so quickly! Thanks for all the tokens of support. Each card, baby-sitting offer, email, or other gift has been valued. We are certainly behind in answering emails, but read each and every one! I am also thankful to the school board of Timothy Christian School that has allowed me to be with Trichelle during the treatments and the school staff who have filled in the holes when I am away. Most importantly, please continue to pray for healing of the cancer and that it would never return, that the side-effects of this treatment would be minimal, for continued healing of Trichelle’s mouth sores, and that the future treatments would go smoothly. Please also pray that we would have firm faith in our God and that He would receive glory and honour through this trial in our lives. We often come to Genesis 1 with a kind of inquisitiveness about creation. Instead, shouldn’t we come in a spirit of worship, bowing before the glorious majesty of the God who has created the universe and given us life and breath and all things? Then we will recognize that He has revealed Himself so that He might touch our lives. One practical effect Genesis 1 ought to have on us is to help us recognize the primacy of God over all of life. If God is the subject of creation, that is, if He occupies a place of primacy in the universe, then the simple, logical conclusion is that He must occupy the same place in our lives, both individually and corporately. That, indeed, is how God intends us to live. The Lord Jesus says it this way: “Seek ye first the kingdom of God, and his righteousness” (Matt. 6:33a). We run into all kinds of trouble when we don’t embrace this practical principle of bowing before the primacy of God over all of life. For example, think of the primacy of God in our planning. Too often we first decide what we want to do, then approach God for confirmation, hoping that our desires will be acceptable to Him. But the biblical principle is, “In the beginning God.” That means before we make any plans, we should recognize the right of God over all of our lives. If we truly believe that God’s initiative is the foundation of all of our plans, we will understand that our position is to seek grace to discern His will and good pleasure, then to do it, no matter how much self-denial that requires. When God becomes primary in our plans, situations often change. Difficulties, even seeming impossibilities, are overcome. Doubts are dissipated; deliverance is received. Are you seeking to bow to the primacy of God in every sphere of your life? Is your limited time, your limited money, your limited energy devoted to the will of God? 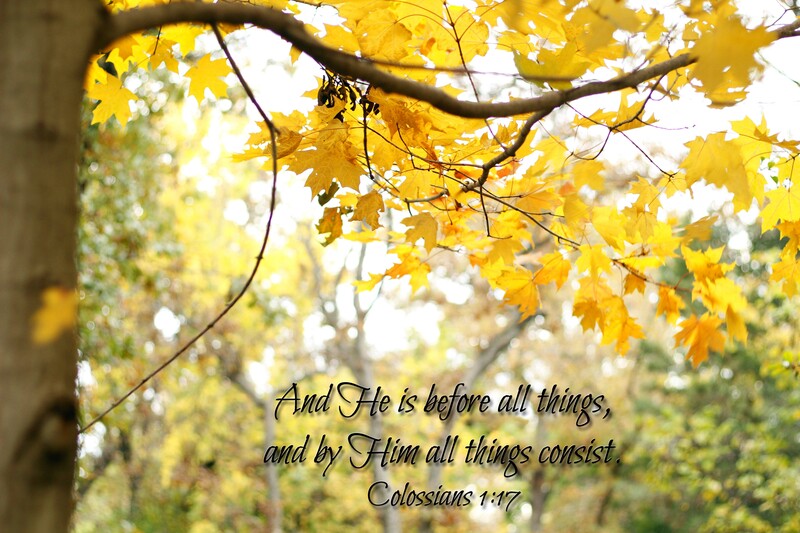 Do you really want to live by the principle, “In the beginning God”?